My Gaggia Classic has been a good machine for a couple years. Replaced the pump a couple of months ago. Started foaming my milk about a month ago. Recently (past 2-3 days) when putting a new pod (yes, I use pods, keeps mess down and wife happy) then starting to brew, the flow of liquid through to the cup has been significantly lower and the liquid coming through was a clear light color instead of the lovely dark color of espresso. I have both cleaned and descaled about a month ago. I cannot figure out a path for the liquid which bypasses the coffee grounds. It is not leaking around the outside of the basket, the liquid is passing out the normal exit. Any suggestions? Do you have a blind filter to back flush your Gaggia Classic? Common cause for slow flow is partial blockage in the 3 way Solenoid valve. 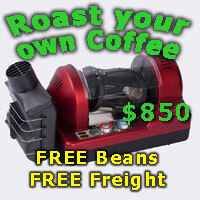 I had a GC for many years (was a great machine with the Silvia wand) and clogged it several times with descaling. Left it a bit too long between descales and when I finally did descale all the crude came loose and clogged the pipes. With no previous experience I managed to take the machine apart and clean it myself. Is the water coming through normally without the group handle in place? Yes, I will try that, thanks. Water comes through slowly. It definitely comes through the right holes. I did leave the solution in the machine a good while before running it through. I was thinking of solution rather than breaking the scale off in small enough chunks to pump through. Guess I will pump, let it sit ca. 5 min then pump again next time. I believe that is the question...when you look at the ejected pod has it been punctured? I believe the Gaggia Classic uses E.S.E. or Easy Serve Espresso pods. It is not like a Nespresso capsule that requires poking. Pods are coffee encased in filter material, no puncture needed. Just Google for the full explanation of ESE pod use in Gaggia machines,I use pods as a quick coffee option occasionally. Just check your baskets that came with your gaggia,standard issue with gaggia machines includes a pod specific basket which looks like a single shot with a slight variation to its profile ,when used with the little plastic two way flow director (positioned below the pod basket). The coffee pod use is acceptable by some coffee drinkers although many will sneer at them for reasons of their own,I reckon their great too! I buy them from local supermarket at $10.00/25 ,little bit more then those ugly capsules.